As you'll see below, that is not what the results look like! Now, Scott is an amazing painter, and I'll attribute the difference to lack of talent in comparison. He was also nice enough to tell me what colors he used, which were: Vallejo Model Color Olive Drab, Vallejo Model Color German Fieldgrey WWII, Vallejo Model Color Green Grey, and Vallejo Model Color Deck Tan. As you can see, mine came out much more "green" than Scott Symonds did. Each of the colors he used have a green tint, so I'm sure he was doing something give it the black/brown shades of his Eldar. 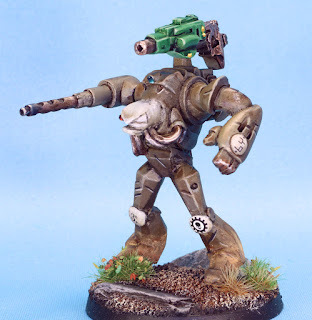 The painting was pretty simple, painting them up through the listed colors. The head was painted with Deck Tan (this is a great color!) 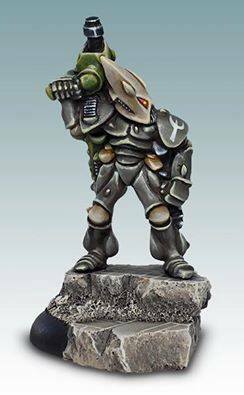 and shaded with Green Grey and highlighted up by mixing in white. That face has a bit of Pop-eye look though, doesn't it? The scratches were Olive Drag mixed with black and a highlight line of Deck Tan was placed under them. The metals were pretty standard but I wet blended Citadel Naggaroth Night, Druchii Violet, and Seraphim Sepia on the cannon to show the heat damage. 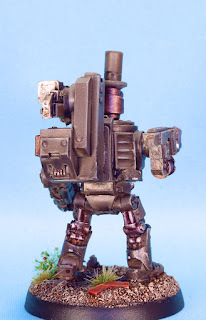 I added a little bit of weathering, but because of the dark, earthy colors I held back from what I would normally do as the weathering would provide no contrast. I also used a lot more decals on this one than I have on the previous ones due to the large amount of flatness on this robot in particular. I felt that it needed to be broken up a little. Robo Lincoln was one of my favorite models to paint in a while. 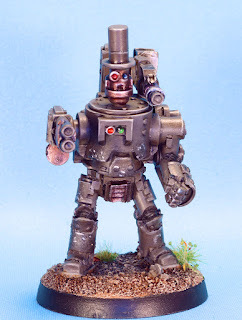 I love how Ramshackle Curtis did a robot with a stovepipe hat! Like the other robots of mine that I've painted, I envision him as a rogue robot, hunting down humans, whom he views as oppressors. Robo Lincoln was painted in much the same way but I used more dark washes to make the tone look more like a brown suit--the kind old Abe would have worn. I also weathered him a little more than Orclord's robot, but making sure to use lots of silvers to pop a little more. 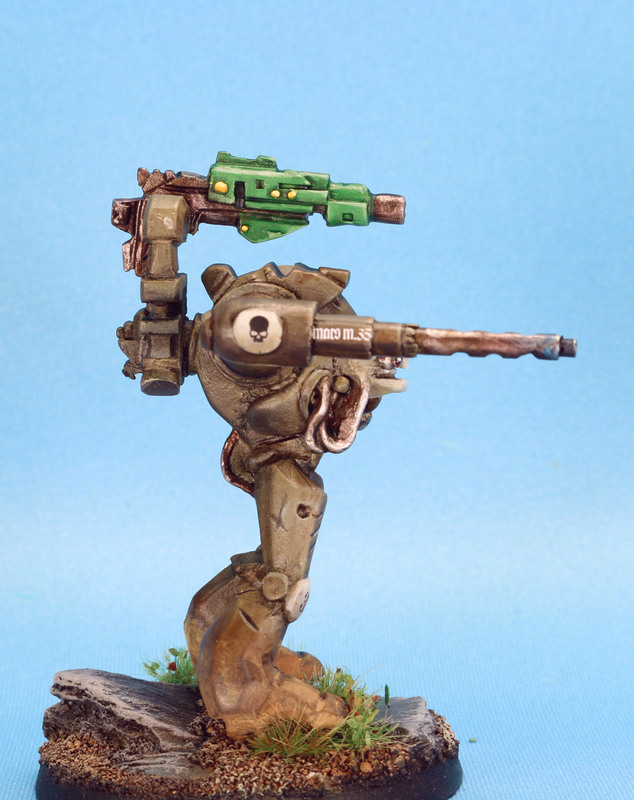 I also painted the face part of the head a little different. I started with an old bottle of Citadel Tin Bits (I love the purple tones in it) and highlighted up by mixing in silver. To keep those purple tones I didn't do too much washing, mostly just the recesses to add definition. 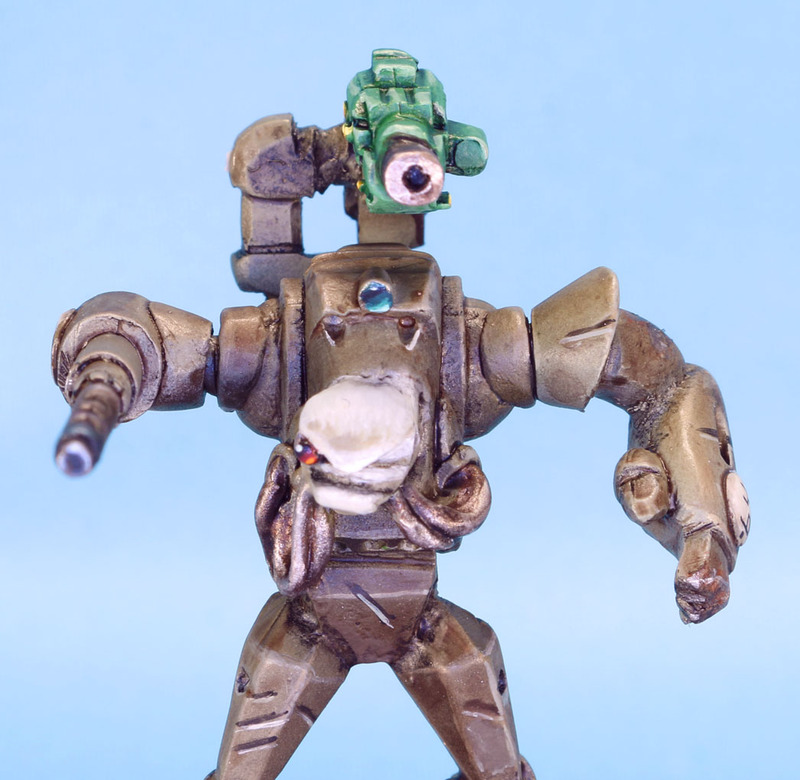 So if you haven't picked up any of the Ramshackle robots, I highly recommend you get some, they are great! I actually quite like the way yours came out, even if it is somewhat different. And that's a quite nice Robo-Lincoln too. I have a fair few Ramshackle miniatures, but none of his robots. I really ought to fix that one day soon. Well done! The robots are great, I highly recommend them. 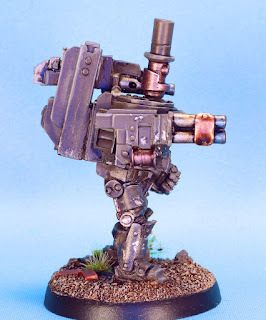 I've done 2 now and they are what I imagine robots in the 41st millennium would look like. Very nice looking bots. 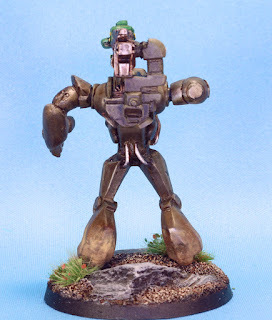 I'm tempted to get a "Not Bender", I think from Armorcast. 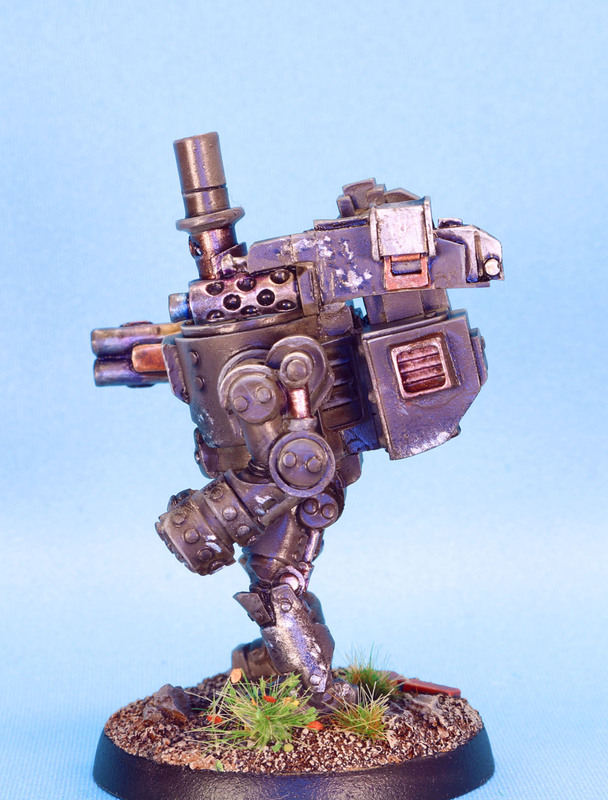 The Ramshackle bots are nice too.